WASHINGTON - The United States has a plan that would lead to the dismantling of North Korea’s nuclear weapons and ballistic missile programs in a year, U.S. President Donald Trump’s national security adviser said Sunday, although U.S. intelligence reported signs that Pyongyang doesn’t intend to fully give up its arsenal. National security adviser John Bolton told CBS’s “Face the Nation” that Washington has devised a program to dismantle North Korea’s weapons of mass destruction — chemical, biological and nuclear — and ballistic missile programs in a year, if there is full cooperation and disclosure from Pyongyang. He said U.S. Secretary of State Mike Pompeo will likely discuss that proposal with the North Koreans soon, adding that it would be to Pyongyang’s advantage to cooperate to see sanctions lifted quickly and aid from South Korea and Japan start to flow. The Financial Times reported that Pompeo was due to visit North Korea this week but the State Department has not confirmed any travel plans. 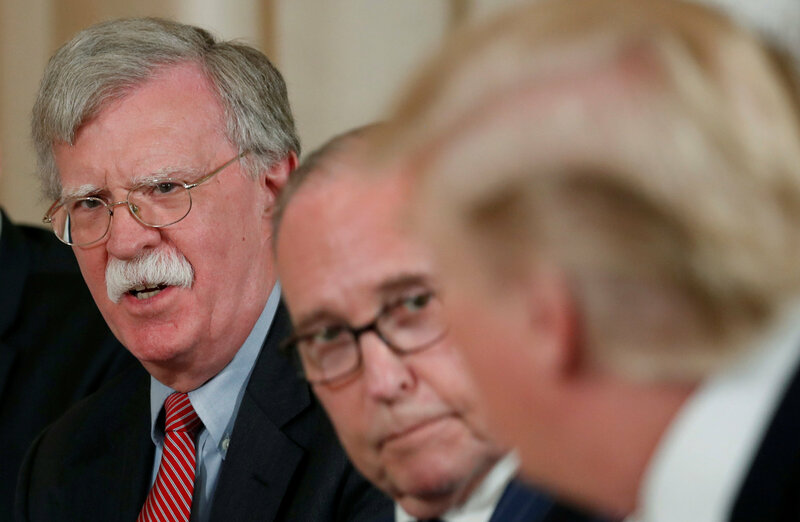 Bolton’s remarks appeared to be the first time the Trump administration had publicly suggested a timeline for North Korea to fulfill the commitment leader Kim Jong Un made at a summit with Trump last month for the “complete denuclearization” of the Korean Peninsula. Despite Trump’s rosy post-summit declaration that the North no longer poses a nuclear threat, Washington and Pyongyang have yet to negotiate the terms under which it would relinquish the weapons that it developed over decades to deter the U.S.
Doubts over North Korea’s intentions have deepened amid reports that it is continuing to produce fissile material for weapons. The Washington Post on Saturday cited unnamed U.S. intelligence officials as concluding that North Korea does not intend to fully surrender its nuclear stockpile. 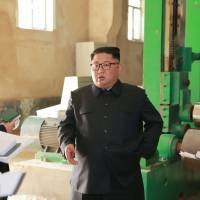 Evidence collected since the June 12 summit in Singapore points to preparations to deceive the U.S. about the number of nuclear warheads in North Korea’s arsenal as well as the existence of undisclosed facilities used to make fissile material for nuclear bombs, according to the report. It said the findings support a new, previously undisclosed Defense Intelligence Agency (DIA) estimate that North Korea is unlikely to denuclearize. 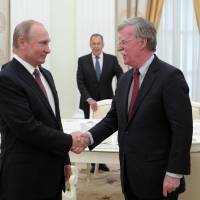 Some aspects of the new intelligence were reported Friday by NBC News. A U.S. official said that the Post’s report was accurate and that the assessment reflected the consistent view across U.S. government agencies for the past several weeks. The official was not authorized to comment publicly on the matter and requested anonymity. North Korea is also completing a major expansion of a key missile-manufacturing plant, the Wall Street Journal reported Sunday, citing researchers who have examined new satellite imagery from San Francisco-based Planet Labs Inc. 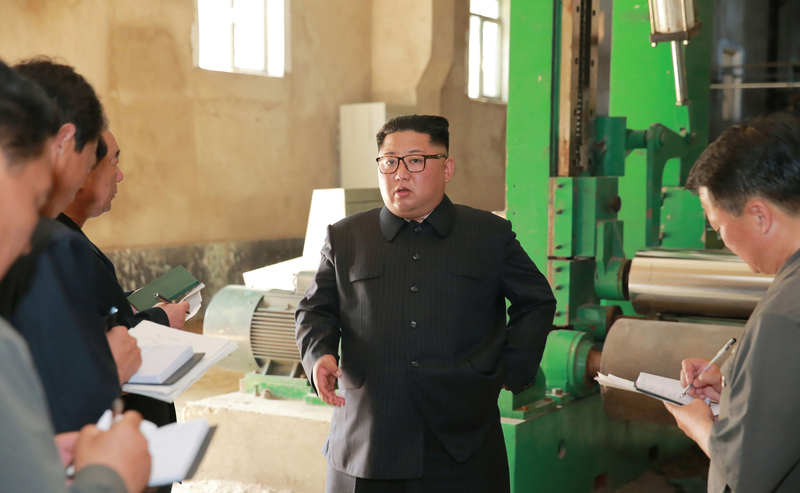 Images analyzed by the Middlebury Institute of International Studies in Monterey, California, shows that North Korea was finishing construction on the exterior of the plant around the time Kim met with Trump in Singapore, the report said. He said the administration was well aware of North Korea’s track record over the decades in dragging out negotiations with the U.S. to continue weapons development. “We have developed a program. 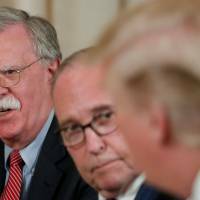 I’m sure that Secretary of State Mike Pompeo will be discussing this with the North Koreans in the near future about really how to dismantle all of their WMD and ballistic missile programs in a year,” Bolton said. 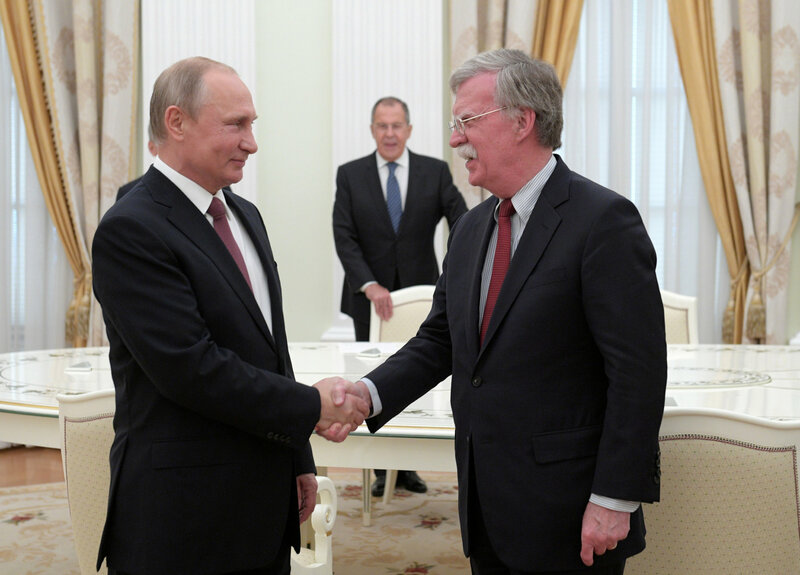 “If they have the strategic decision already made to do that, and they’re cooperative, we can move very quickly,” he added. He said the one-year program the U.S. is proposing would cover all of the North’s chemical and biological weapons, nuclear programs and ballistic missiles. Even if North Korea is willing to cooperate, dismantling its secretive weapons of mass destruction programs, believed to encompass dozens of sites, will be tough. Stanford University academics, including nuclear physicist Siegfried Hecker, a leading expert on the North’s nuclear program, have proposed a 10-year road map for that task; others say it could take less time. U.S. intelligence is not certain how many nuclear warheads North Korea has. The DIA is at the high end with an estimate of about 50, but all the agencies believe Pyongyang is concealing an unknown number, especially smaller tactical ones, in caves and other underground facilities around the country. South Korea media reported Sunday that U.S. envoy Sung Kim, the American ambassador to the Philippines, met with North Korean officials at the border the same day to coordinate an agenda for Pompeo’s next visit to North Korea. “I made a deal with him. I shook hands with him. I really believe he means it,” the president said on Fox News. Trump defended his decision to suspend “war games” with close ally South Korea — a significant concession to North Korea, which so far has suspended nuclear and missile tests and destroyed tunnels at its nuclear test site but not taken further concrete steps to denuclearize. “Now we’re saving a lot of money,” Trump said of the cancellation of large-scale military drills that involve flights of U.S. bombers from the Pacific U.S. territory of Guam. “So we gave nothing. What we are going to give is good things in the future. And by the way I really believe North Korea has a tremendous future. I got along really well with Chairman Kim. We had a great chemistry,” Trump added.